We’ve had the pleasure of working with Vicente Norero, owner and general manager of Camino Verde Cacao, for a few years now. He’s one of the most innovative and experimental cacao producers we know, and his constantly evolving approach to fermentation yields some of the most chocolatey beans we buy. We love their flavor so much, not only do we make two chocolate bars, an 85% and 100% (not to mention a limited edition 76% bar in 2017), we also use the chocolate as the base in nearly all of our drinks and many of our pastries. That being said, we don’t work with Vicente simply because we like the beans he produces, we work with him because he, and his brok— Meridian Cacao—have been good partners and have been willing to work with us even when things have been, let’s say, a bit chaotic. In 2016, a lot changed for Camino Verde. Until that summer, Camino Verde was a single estate which grew and fermented its own cacao as well as a variety of other crops near the town of Balao in southern Ecuador. Vicente developed and refined fermentation techniques to create unique flavor profiles using the cacao he grew and fermented on the estate itself. During the summer, the owner of the farmland decided to sell it, compelling Vicente to transform Camino Verde’s model and try out a few ideas he’d been developing over the years. Vicente moved operations north to Guayaquil, where he had just built a chocolate factory, and he now buys freshly harvested, unfermented beans from over 3500 farmers around Ecuador. Many of those farmers are members of associations and cooperatives that aggregate the beans and sell them to Camino Verde, where Vicente ferments the beans in his centralized facility. With a larger fermentary and the ability to experiment with a selection of cacao from across Ecuador, Vicente can now expand the work he had been doing allowing him to build new and interesting flavor profiles which he could never have done using only cacao from a single farm. Vicente may have more opportunity to experiment within his new model, but transitions can be tricky business. Working with new beans in a new location means learning about fermentation from a whole new perspective. 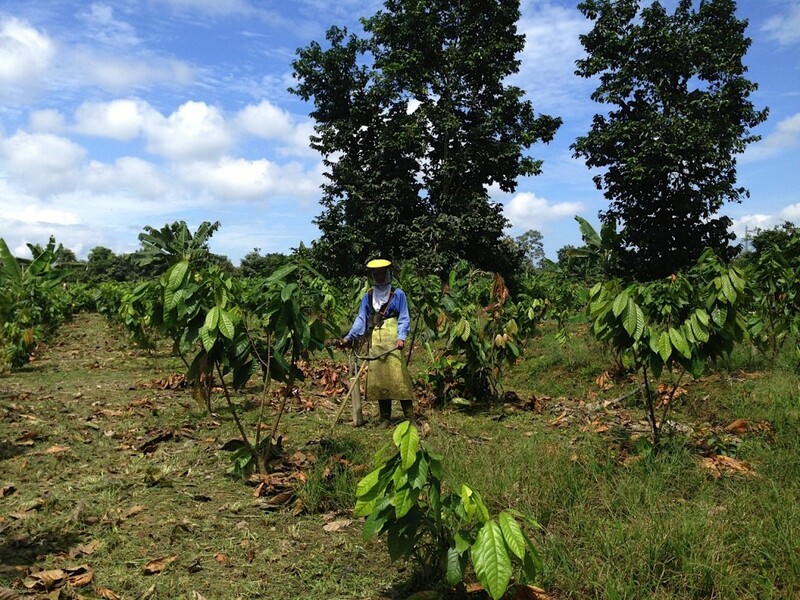 Cacao grown at a high altitude may not ferment the same as cacao at sea level. The fermentary itself exists in new weather conditions, and now there are genetics in the mix that were never there before. But as we always say, we work with people before beans, and as Vicente works through this new experiment, we’re right there with him. Making chocolate in his own chocolate factory also means that Vicente has the capacity to develop specific flavor profiles for customers, tweaking his own process and getting instant and direct feedback about what various cacao tastes like as chocolate. 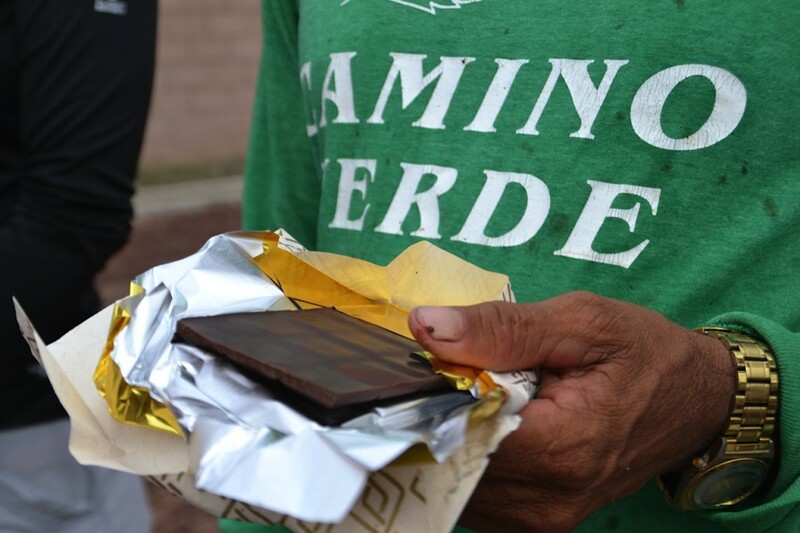 In addition, as the chocolate industry grows, Camino Verde’s factory can provide a proving ground and production facility for new businesses. The factory is able to make cocoa liquor, cocoa butter, chocolate chips, and bars. Although Camino Verde does not intend on starting its own label, they will work with customers to make customs blends and bars. And, like many of the partners we work with, Camino Verde is participating in a web of information sharing. Not only have farmers from around Ecuador come to Vicente for advice or tips on growing cacao, the folks from Zorzal Cacao and Kokoa Kamili visited Vicente and his new fermentary, gaining a new understanding of Ecuadorian cacao. It’s always heartening to see various people with whom we work, working together with each other. After all, we believe this is the best way for the whole community to grow!